I found this very interesting Larry. 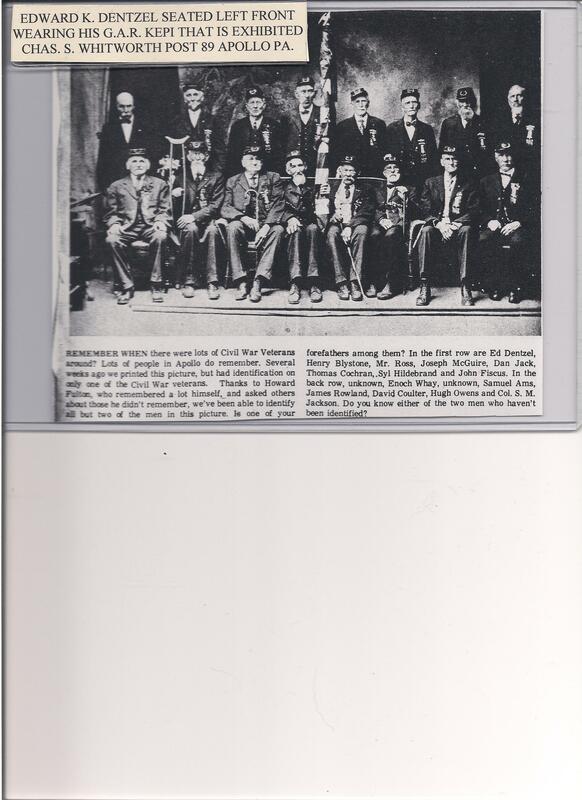 I enjoyed learning about the Blystone ancestry and their Civil War ties. I really love your blog. Keep up the good work! Thank you very much. Like you I am always interested in learning more of our ancesters! My maternal family tree also includes the Blystone line. Henry Blystone married Sarah Hoover, who I believe was a great aunt of Herbert Hoover. They had a son named James Blystone, and he had a daughter named Melda. Melda Blystone married Earl R. Stouffer, who was my maternal g-grandfather. My mother was a Stouffer from Armstrong County. Michael, Thank you for your response to my site. Apparently, you love learning about our ancestors too. Both sides of my parents had Blystones within in the family. As tyou read, my grandmother was Joycie Blystone. Owen Blystone married my great aunt on my other other grandmother’s side. and on and on! thanks again! Hi Larry – You mention a photo of “an aged, white-bearded Henry in the early 1900 era”. Have you seen this photo personally, or know how to access it? Henry is a very-great grandfather of mine. Yes, I have seen a copy of the photo which was taken in Apollo, Pennsylvania. I have included this copy of the photo on the site. Henry is the second from the left with a crutch. Thanks for your interest. Thank you for sharing the that photo! You are quite welcome. I didn’t have a copy when I originally did that entry.